Beer, it’s been said, is recession-proof. Or at least that’s what Bill Herlicka set out to prove in 2009 when he opened White Birch Brewing in Hooksett. At the time, he was working as a project manager at one of the world’s largest investment companies, managing budgets in the millions of dollars; by night, he was a home-brewing beer aficionado, concocting everything from Russian Imperial Stouts to hoppy Belgian ales. So when he sensed a round of layoffs looming at work, he figured it was as good a time as any to try his hand at professional brewing. Starting small, he opened White Birch in June of that year. By August, the beer – which he brewed in 15- to 20-gallon batches – was ready to be poured. In its first calendar year, White Birch went from brewing one barrel a day to two, sometimes stretching capacity to three when demand was strong (a barrel, by the way, is 31 gallons). Now, two years later, White Birch has traded up to a seven-barrel system, and its ales are available in stores and bars throughout New England and into New York City and Philadelphia. White Birch was New Hampshire’s first nano brewery, but not its last, especially not in the wake of a newly enacted state law that expands the barrier to market entry for small brewing operations. And, say lawmakers who introduced this year’s legislation, more bills are already on the horizon for next year. “We’re in the golden age of beer right now,” said Herlicka. 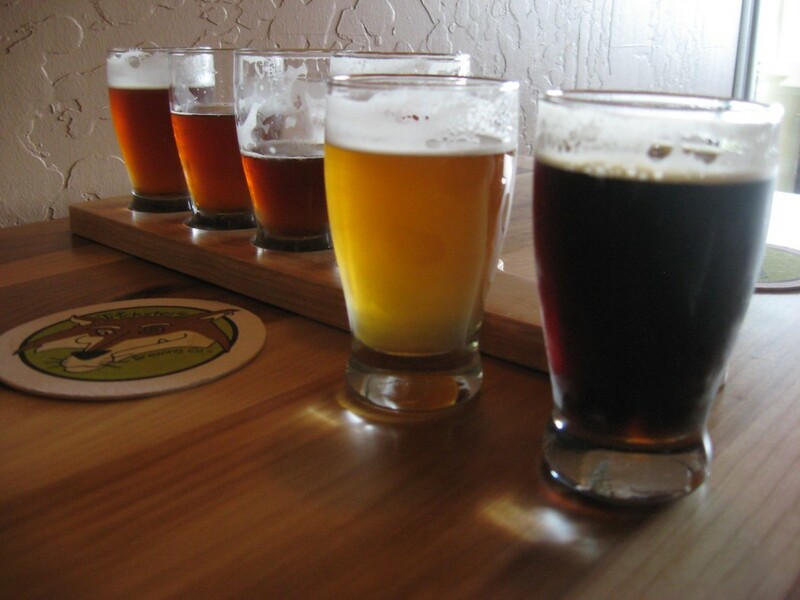 While definitions vary, craft beer is more easily defined by what it is not. Craft breweries are not owned by giant beverage corporations and do not produce more than 6 million barrels of beer a year. Unlike their mass-produced counterparts, craft beer often isn’t filtered and doesn’t contain preservatives or adjuncts like rice and corn. Made with premium ingredients like malted barley, wheat and rye, craft beer is brewed for style and distinction, not mass appeal. As a certified-organic brewery, Boulder-based Asher Brewing Co. is often at the mercy at what the market can bear and has to source ingredients where they’re available. Asher acquires its grains from Vancouver, Wash., and its hops from Germany, New Zealand and parts of the United States. Other area craft brewers — many that do not have to rely on landing the more exclusive organic ingredients — share similar sentiments. A history of the original Acme in captions and pictures by Burrito Justice. The brewing industry in the United States has seen an explosion in recent years in what are known as “craft beers” – innovative beer styles produced by small, independent breweries. In fact, the craft brewing industry grew last year by 11 percent in volume, and 12 percent in dollars – compared to the previous year. One of the newest offerings even takes its inspiration from the nation’s founding fathers, including George Washington. Last year, Raise Your Pintshad less than three weeks to put together the inaugural Mississippi Craft Beer Week. The grassroots organization, whose goal is to change the outdated beer laws in the state, managed to host more than a dozen events over the course of the week, and the response was overwhelming. “It let us know that this was something worth keeping,” said Butch Bailey, president of Raise Your Pints. Now, with a year of planning behind them, Raise Your Pints is set to kick off the second annual Mississippi Craft Beer Week, and Mississippi’s only brewery will be front and center.